Print Coupons - An easy way to save is to print coupons at home for items on your school supply list. Currently, you can print coupons for Purell, Ziploc bags, Wet Ones (disinfectant wipes), Clorox wipes, facial tissues, and more. Most coupons can be printed 2 times per computer. Click here for the BISD school supply list for 2014-2015. Plus, check brand manufacturer websites and their social media outlets for more deals! Some stores, including Walgreens, CVS, and Staples, will let you pair a manufacturer coupon with a store coupon for even bigger savings. And while we don't have a Target in Bastrop County (yet... fingers crossed! 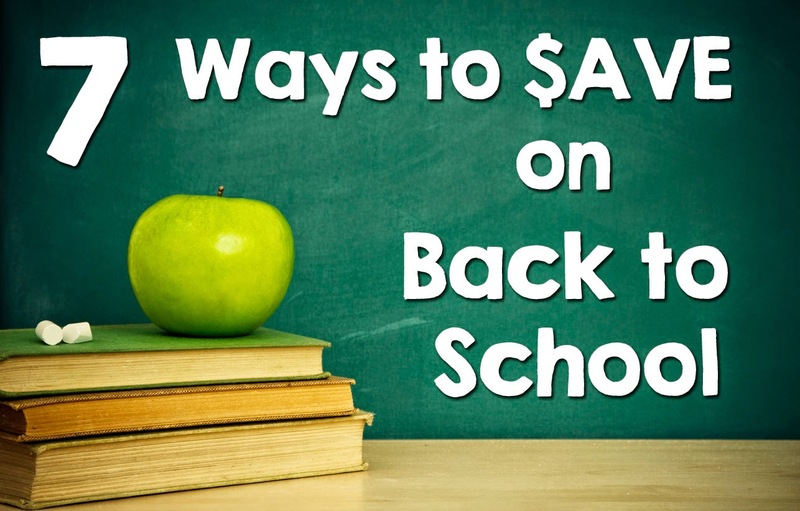 ), they also offer additional savings through mobile coupons (text OFFERS to 827-438) and the Cartwheel app. Other local retailers who offer mobile coupons include Staples (text JOIN to 555-444) and Payless (text HAPPY to 747-474). Reward Programs - Many stores offer reward programs with special deals and savings for members. For example, at CVS, reward members get special prices on certain items, as well as ExtraCare Bucks, which can be used like cash on future purchases. Store Deals - Many retailers offer special in-store deals on certain products. For example, next week (8/13/14 - 8/17/14), when you purchase $20 in school supplies at HEB, you will get a $10 Catalina coupon at checkout! Tax-Free Weekend - Shop for back to school supplies including clothes and shoes without paying sales tax! This year, the Texas Sales Tax Holiday is Aug. 8th-10th. Click here for more info. Shop Used - There are a lot of ways to save money when you don't mind buying used items. There are consignment shops, thrift stores, and garage sale groups on Facebook, just to name a few. For a list of all the Bastrop County garage sale groups on Facebook, click here. Let Others Do the Work For You! This whole saving money thing can get a little overwhelming. Luckily, there are a million blogs dedicated to helping you save money. I hope that gives you some great ideas on how to save a little money this year. If you have any other tips, please share them in the comments!